A first time visitor to Nandi will be fascinated by the variety of landscape, plants and animals. The attraction sites include the breathtaking Chepkit waterfall, Uson Cliff, Tereno waterfalls, Chepng’isir waterfalls, Bonjoge game reserves, and the Nandi rocks, the holy waters at Mberere, the picturesque carpets of tea bushes and the vast forest cover. 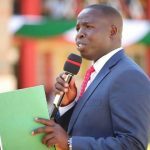 The county is a sleeping giant strategically positioned to tap into the Western tourist circuit. Nowhere in the Rift Valley is more spectacular than in the hilly and cool county of Nandi. Here, it unwinds into endless hills and gorges that make for very stunning scenery. Nandi County has a rich history and a rich set of attractions that make it ideal for someone looking for something a little off-the-beaten-path in Kenya. 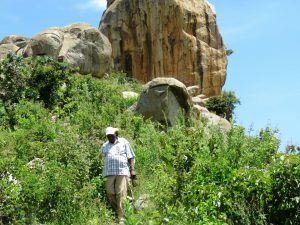 Also known as the Monkey Rock, Nandi Rock is located in the Nandi South area in the border between Kisumu and Nandi. Nandi Rock is one of the main natural tourist attractions in Nandi. 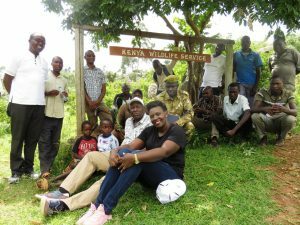 It is an elevated rock outcrop on the escarpment that gives visitors a good vantage point from which to see the surrounding beautiful landscape that includes the Nyando Valley, the thousands of hills that make up Nandi and the sugarcane plantations below on the Nyando sugar belt. It is a popular destination for many hikers and trail walkers. If you are looking for some outdoor excursions with the bonus of spectacular heavenly views, this should be a must-visit site on your Nandi County itinerary. Scaling the Nandi Rock is not just adventurer’s must-do in the Western Kenyan tourism circuit. 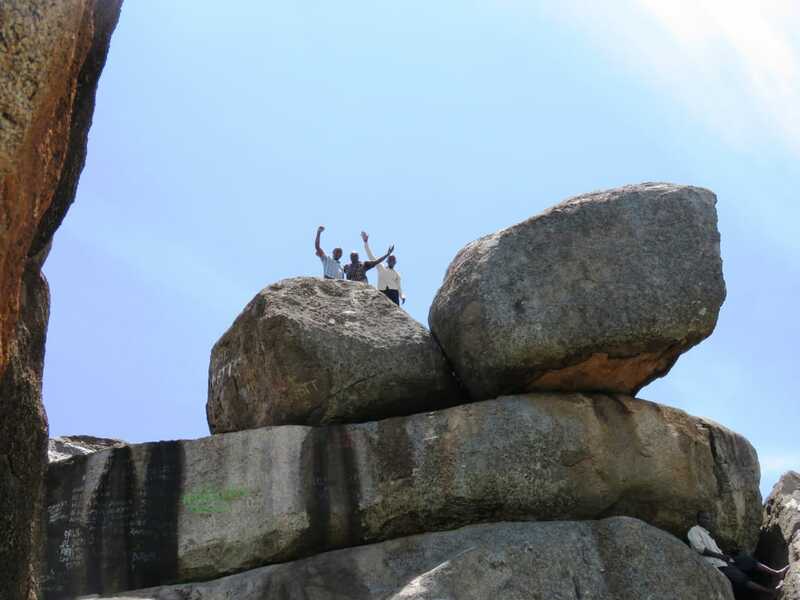 For many kids growing up in the Kibos, Nandi South and Miwani area, it is often a rite of passage to scale the Nandi Rock and enjoy the beautiful views below. 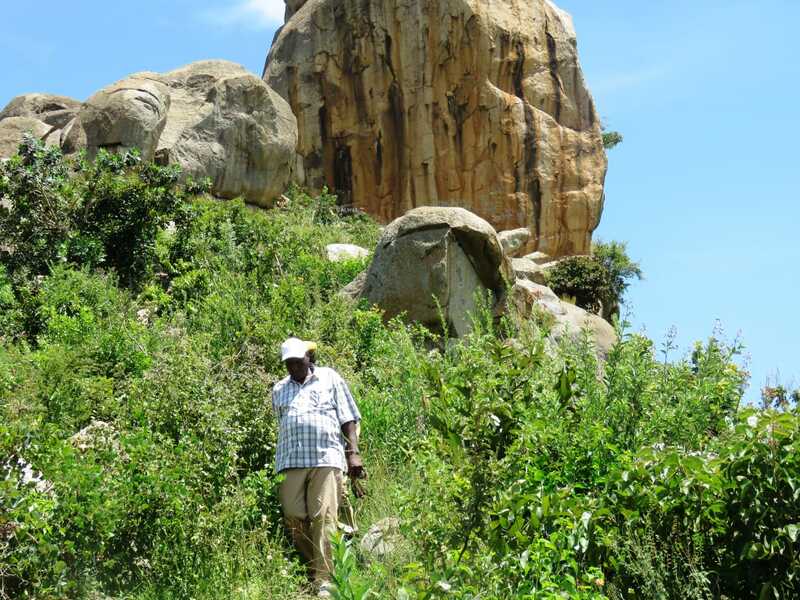 The hills around the Nandi Rock were once heavily forested. Today all that is left is bare rock but the scenery is still simply awesome. 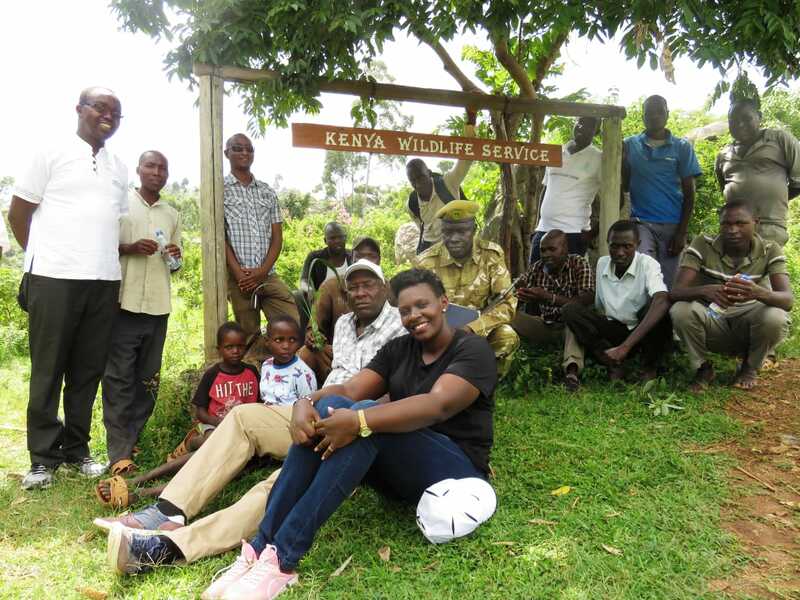 Tourism, Culture and Social Welfare County Executive Member Wilson Taiy together with the Tourism Chief Officer Beatrice Chemurgor made a visit to the site with an aim of inspecting and identifying ways in which the site can be improved. This is a good start. More should be done to explore more attractions, to include sports, culture, and natural landscapes. This must be done in collaboration with the national Ministry of Tourism for maximum research and publicity. 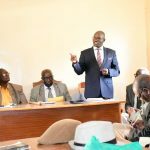 Investment in infrastructure – roads, electricity, water, etc, to these destinations is a must to open up investments in catering and accommodation, sports activities, etc. Involving professional consultants in the Tourism sector from the County will add value in research and publicity. We appreciate your invaluable sentiments. 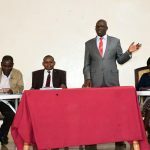 We definitely shall consider them as we seek to transform the tourism sector in Nandi County.